Could what colors you wear improve your tennis game? Color can influence behavior and mood, why wouldn’t it effect how you play and even how you are perceived by referees, opponents, fans, etc. on the court? Studies have shown that a teams’ jersey color can influence how often they are called for penalties during games. An example of this might be the 1979-1980 Pittsburgh Penguins hockey team, which changed its uniform colors from light blue to black in the middle of the season. Using almost entirely the same players, the team averaged around 33% more penalties when wearing their black uniforms. The psychology of color can influence your own performance, affects how your opponent views you, and can generate greater response by fans. 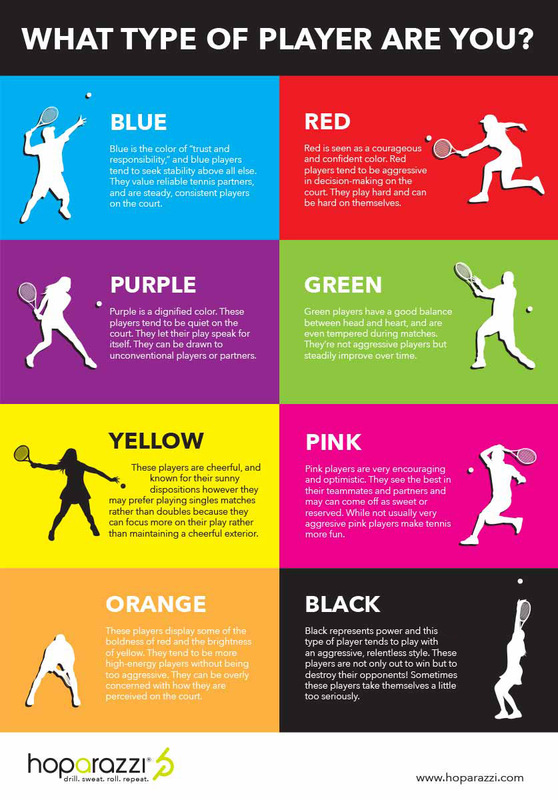 Keep reading if you want to learn what colors can help you win on the court. RED = Red is associated with dominance. Scientific studies have found that competitors in combat sports during the Olympics did better when wearing red jerseys than blue. Referees were also more likely to give higher scores to the red competitors compared to blue fighters. In the study, the same fight videos were shown more than once to a group of referees but the actual outfit colors were digitally switched to determine the effect the color had on their decisions. BLACK = Black is seen as menacing and aggressive. NFL and NHL teams wearing black uniforms rather than colored ones were penalized more, in a recent study. Wear black if you want to appear aggressive, dark and imposing. YELLOW = Yellow is a sunny and happy color. It is said to stimulate mental activity and is associated with high energy, so wear it if you are in need of boost. Yellow can also be very attractive to spectators and the psychological impact can be very beneficial to the team’s performance, as well. PINK = Pink is generally seen as a happy color like yellow. A bright, neon shade of pink can stimulate similar mental energy as yellow but to a lesser degree. BLUE = Blue, the color of water and sky, is a commonly used color because it is seen as calming and stable. When surveyed, most people say that their favorite color is blue, so it makes sense from a merchandising perspective as well. WHITE = White is a pure, comforting color which may be associated with unity and wholeness. Wearing it may attract fans who want to be a part of a bigger movement. Colors can influence the way you, your teammates and staff are perceived on the court. 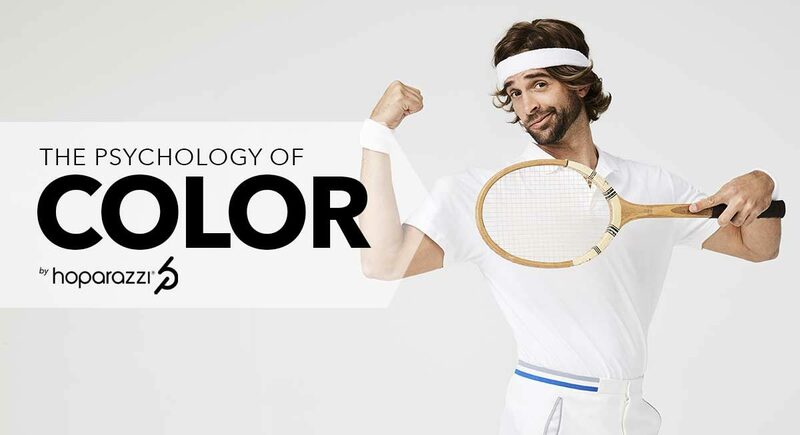 Use the psychology of color to your advantage and improve your tennis game!